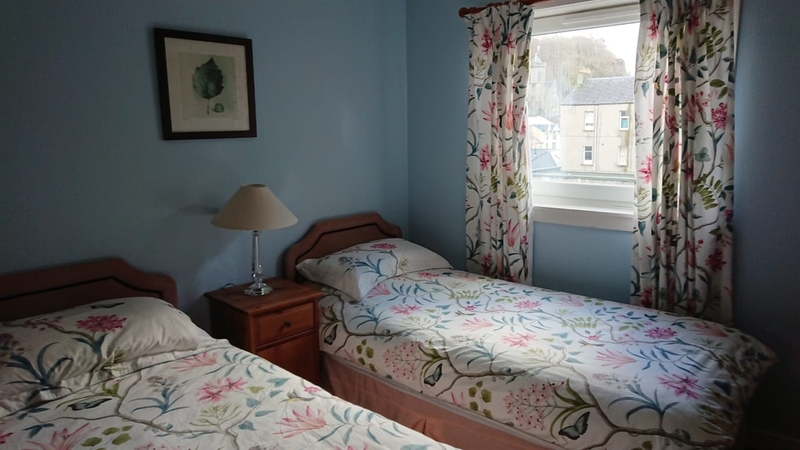 All our rates , availability, and booking procedures are available on our partners web site on "Booking.com"
Combining comfort with convenient location and terrific scenery, the Kings Arms Apartments are the perfect place to stay whilst visiting Oban and Argyll. 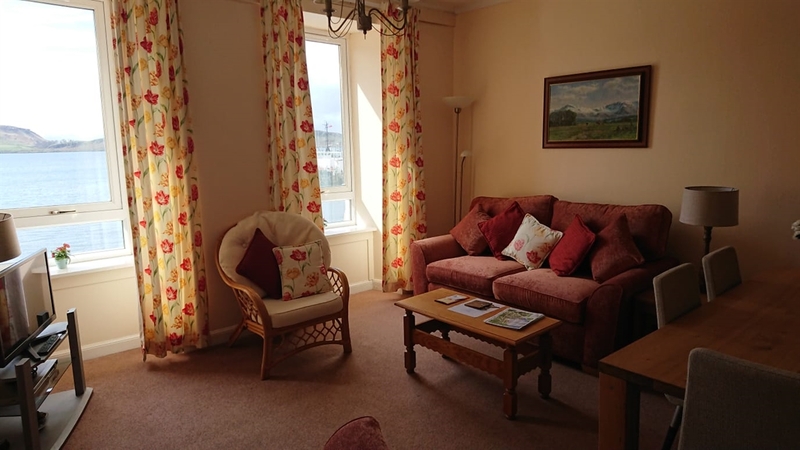 With a superb seafront location on George Street, the main street of the town, the apartments offer magnificent views over Oban bay looking towards the islands of Kerrera, Mull and Lismore. 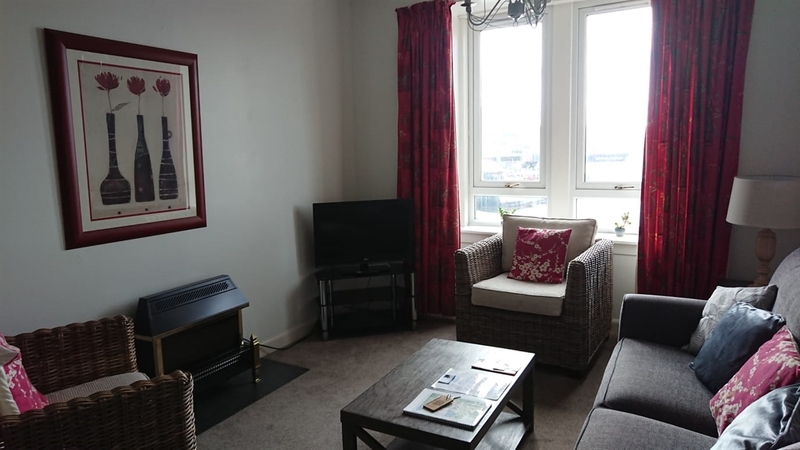 Each of the apartments has a sea view, so from the comfort of an arm chair you can sit back and watch the gentle activity of Oban bay with everything from the occasional tall ship and cruise liner, to swans and seals making this a bustling and interesting harbour. 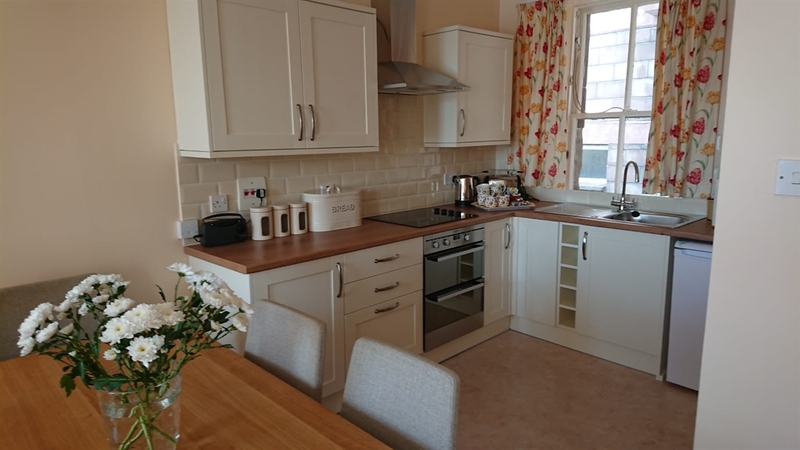 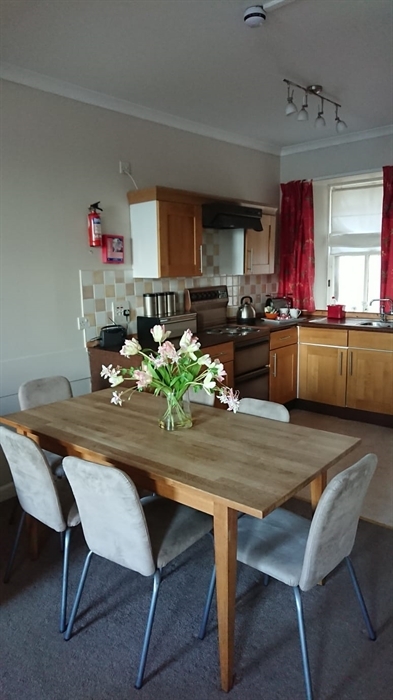 The Kings Arms consists of five apartments, each with spacious lounge, kitchen/dining area and bathroom with bath and shower. 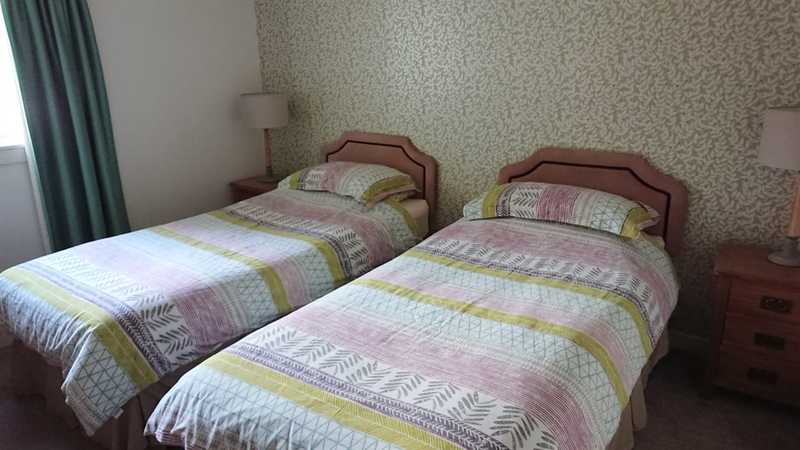 The apartments have two twin bedrooms except for Apartment no.5 situated on the top floor of the building, which features a slightly different layout with one twin and two single bedrooms. 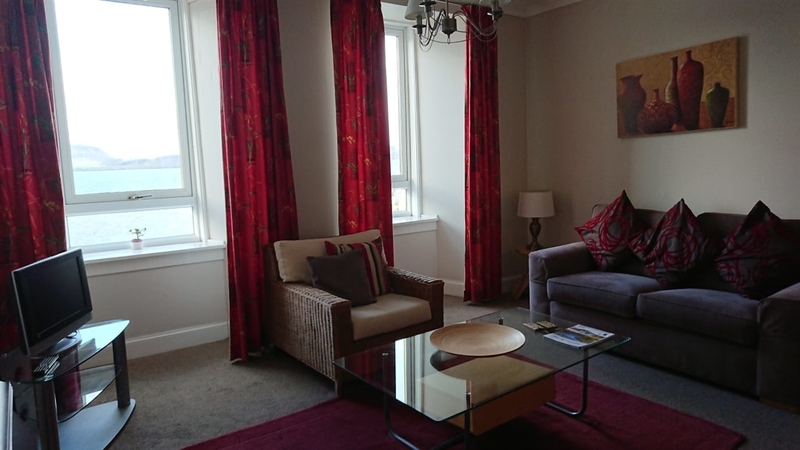 The Apartments generally sleep four, however when using the sofa bed in the lounge , this provides a further double bed making each apatments maximum occupancy of six persons. 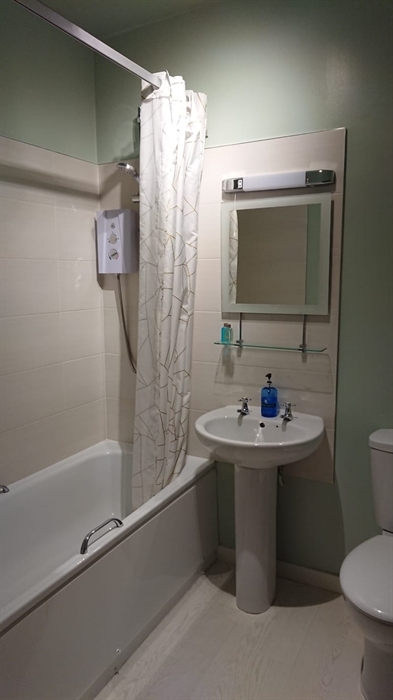 Being in the centre of the town, the apartments are convenient for restaurants, bars and shops - indeed the "Spice World" serving Indian , Bangladeshi, Chinese and Thai dishes is situated on the first floor of the building. 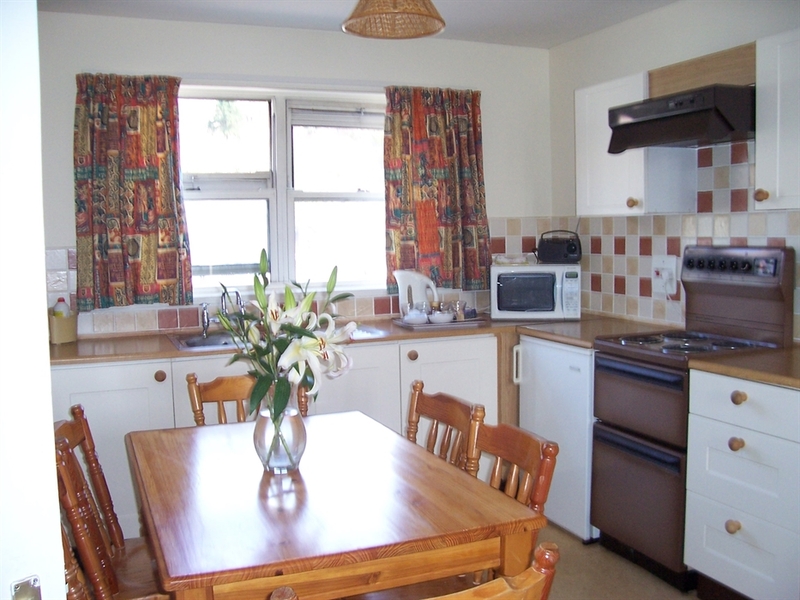 They are also situated two minutes walk from transport links for rail, bus or ferry.